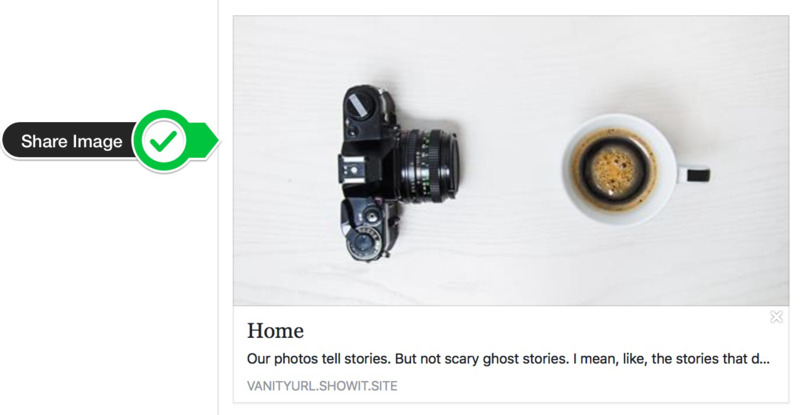 By default Facebook and other sharing platforms will grab the most accessible image on a page unless you have a specific share image applied. 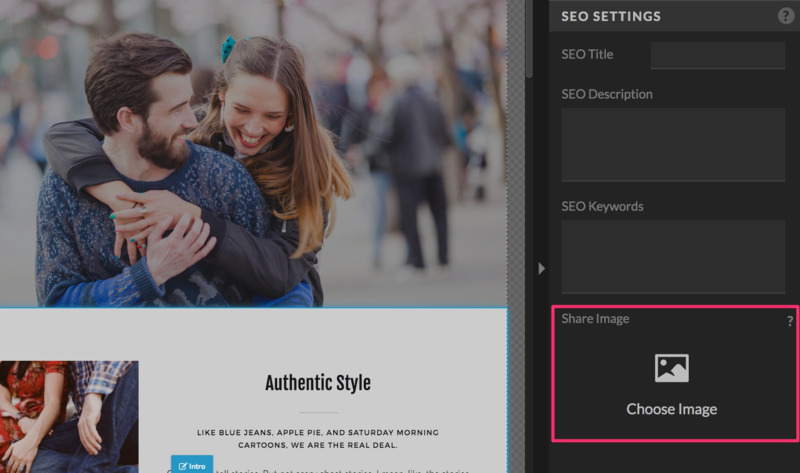 You can set this share image for each page of your site. Select your page and go to the SEO Settings in the right sidebar. 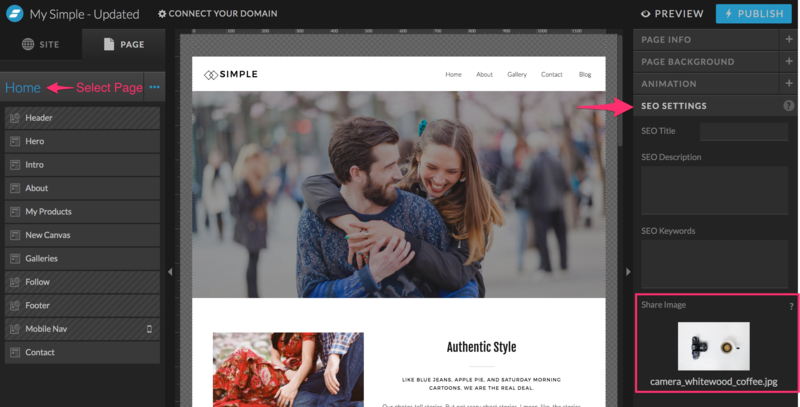 The share image for Blog templates is set inside Wordpress rather than in the Showit editor. 3. Click Update in the top right panel to update the page. Facebook cache's page information for a period of time. If you'd like to force Facebook to refresh it's cache you can follow these steps. Paste in each page's URL that you'd like to reset the cache for. Once it's reset new posts will pull the new share images you have set.